IKEA is marking its thirtieth year in the UK. So what better way to celebrate the occasion than by throwing a house party? And what better experience could be laid on than a four floor journey through the history of British interiors? So it was that the IKEA House Party was born – bringing to life the WonderfulEveryday that IKEA has brought to the nation every year since 1987? In just five short weeks we created a four storey showcase of IKEA in the very heart of Soho. With lurid primary colours from the 1980s, the beige of the 1990s, the feature walls of the 2000s and a glimpse of the near-future featuring BrianTech, the interactive mirror. What’s more, as well as being an open-all-day exhibition, by night the IKEA House turned into party central. 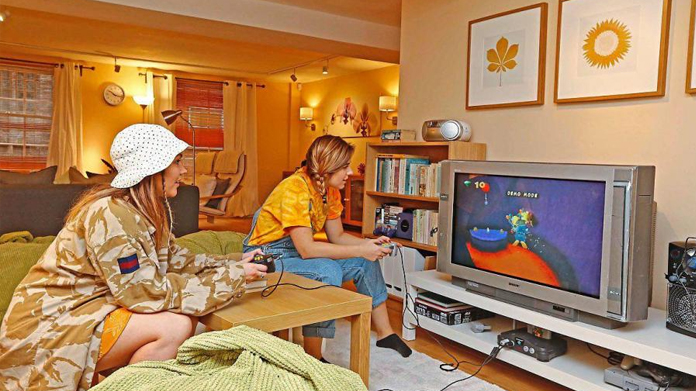 Each night for four nights, guests were welcomed into the IKEA house to party like it was 1999 (and ’89 and ’09 and ’19) with era-appropriate libations (from WKD and Hooch to Chardonnay and Smirnoff Ice). All-in over 4,000 visitors made the pilgrimage through the ages. There was the most staggering double page belter on (and in) the Daily Mail. Then there was the half page in the Evening Standard (which followed a DPS in the same paper with a thirtieth anniversary feature), The Sun, Daily Telegraph, Daily Express, Independent, Daily Mirror and BBC. And that’s just a tiny selection. There have also been some lovely nods from the marketing lot with Design Week, Campaign, AdAge. And a heap of others besides. Of course.